A lot has happened in the past month. 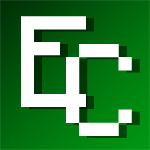 Can you believe that, this coming Thursday, we are celebrating the 1 month anniversary of Econicraft's first day online? Or, that we have 30 members registered and hundreds of threads posted on our forum? As the owner, I am amazed at how far the server has come and how many amazing people I have met. I am also extremely pleased with the development of our strong and welcoming community that everyone has been lovingly contributing to. We have also had an outstanding response to the opening of the donations page. It was heartwarming to see that something I had put so much of my own time into was something that other people liked enough to invest their own money in. We have received $10 in the past month from a singular donator, user cineloh, making us just a few dollars short of a month's worth of server expenses. But now that the time to pay for this next month's hosting subscription is almost upon us (2-21-13) it is imperative that we get just a few more dollars so that we don't have to go offline for any period of time. In light of this, I have completely revamped the Donations Page on our website (link below) to make donating to the server easier than ever. So, if you have a little extra to give and you love Econicraft, consider making a donation to our server! The purpose of the post, besides begging for money like an insufferable moron, is to thank everyone who has taken part in the journey that has been running my first server. You all have been incredible before and after the release, playing with me and helping me to make Econicraft what it is today. And I am optimistic that Econicraft will continue to grow as long as we all remain dedicated to having the best economy server the world has ever seen. So in honor of all this, please reply to this thread talking about how you have seen this server grow and your projections for the future. Well done, Old chap. Im waiting on my check. and ill hook us up. It should be here tomorrow or Wednesday. I see space has made it to the $15 mark! I'll try and donate next month!